Richard Sherman, Antonio Cromartie, and Terrell Suggs. The hottest of sports takes, it seems, have been derived from Deflategate, with no shortage of top names offering their thoughts on Tom Brady. Several former players — Joe Montana, Troy Aikman, Jerome Bettis, Mark Brunell — were quick to condemn the Patriots quarterback in late January. But since the initial report came out a mere 31 weeks ago (sigh), it seems support has swelled for Brady as frustration toward NFL commissioner Roger Goodell and the league has grown tenfold. And those former players who spoke out all those months ago haven’t publicly adjusted their stances since the newest episodes have played out in this television drama. Support lately, however, has come from odd corners since his four-game suspension was upheld in June and he subsequently took the matter to federal court. 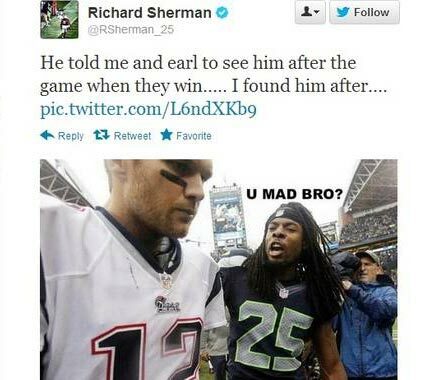 Briefly: The Seattle Seahawks cornerback has faced Brady twice in his career, going 1-1. To put it nicely, they don’t seem to care much for one another. (Thank you for this meme, Sherm.) But Sherman has never shied away from voicing logical criticism of the NFL. He did just that by comparing the Patriots’ $1 million fine with the $1.88 million Brady stands to lose if he sits for four games. 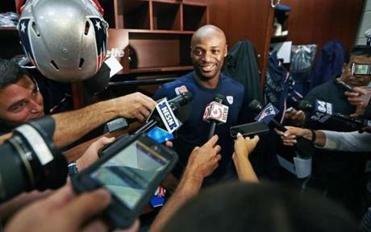 Briefly: A big plus for Cromartie in joining the New York Jets in 2010 was facing Brady twice a year in the AFC East. But just because he would compete against a sure-fire Hall of Famer on a consistent basis does not mean he has to like Brady. Cromartie used colorful language to describe his thoughts about Brady four years ago. But Cromartie said Brady’s punishment does not fit the crime and he should not serve a suspension. Briefly: The Ravens and Patriots — and especially Suggs and Brady — have endured a rich and lively rivalry in the last decade. Another chapter was written when e-mails showed Baltimore tipping off Indianapolis about the possibility of deflated footballs before the AFC title game, though the Ravens vehemently denied that. Suggs, the Ravens’ star linebacker and emotional leader, refuses to say Brady’s name, usually referring to him with only pronouns. He followed that protocol when he indicated Deflategate shouldn’t stain Brady’s legacy. Briefly: The eight-time Pro Bowl does not have a cutthroat rivalry with Brady. But he called it like he sees it. His secondary point to calling Brady’s suspension over the top was to clear up the confusion around football preparation rules. Either use footballs straight out of the box or let the quarterbacks do whatever they want to them. He said it: “I would equate what [Brady] did to driving 66 [mph] in a 65 speed zone, and getting the death penalty. Briefly: The polls’ favorite has a “great friend” in Brady and Trump doesn’t want to see his friend go through anything he doesn’t deserve. 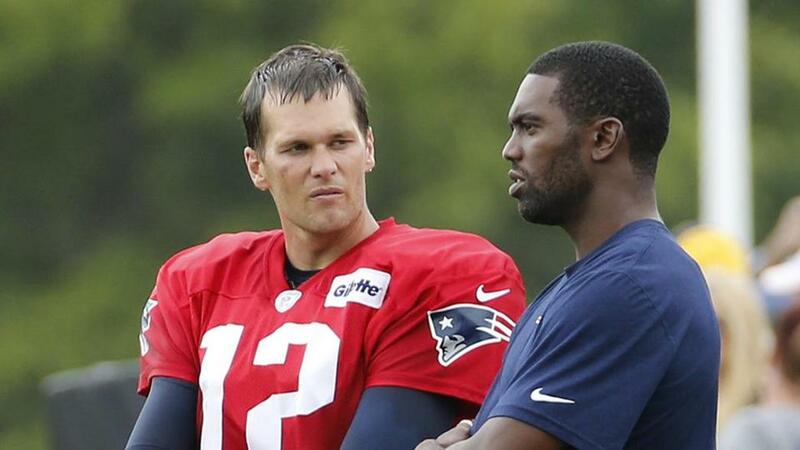 Briefly: Moss and Brady went through an undefeated regular season together and Super Bowl heartbreak together. You wouldn’t expect anything less when the Patriots were in Moss’s home state last week, Moss stood up for the quarterback he once helped break the record for touchdown passes in a single season. Briefly: It’s pretty simple. Cena, a WWE star and Patriots fan, doesn’t want Brady to be distracted from his own greatness. 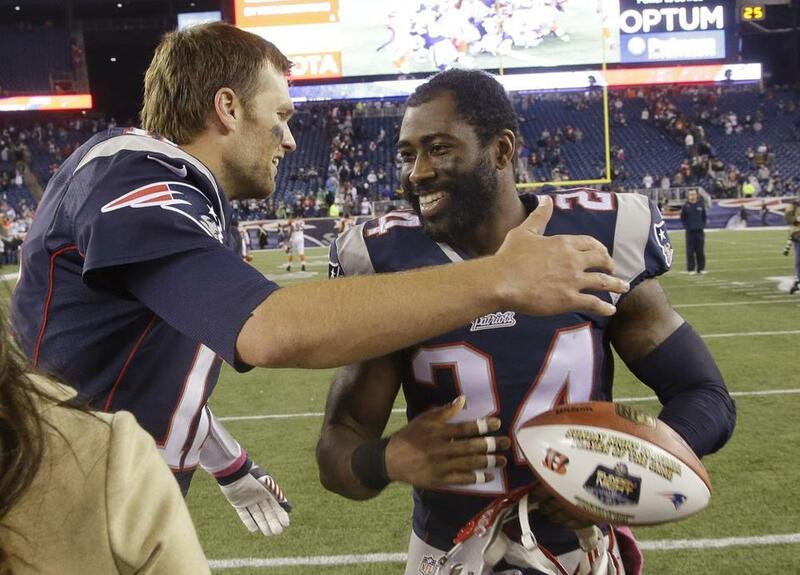 Briefly: So they won a Super Bowl together, then Revis blew town for New York and money (but can you blame him? ), hopped on the cover of Sports Illustrated in Joe Namath style, and now thinks the quarterback he won a championship with in February should take the four-game suspension and roll with it. Alrighty then. Briefly: He has taken Brady to task throughout and did not veer off course in his last column on the subject. He said it: “Tom Brady, cheater. … Tom Brady, liar. … Tom Brady, shameless. … Tom Brady, guilty. Tom Brady's 2015 NFL debut will take place at Lucas Oil Stadium. NFL upheld his suspension. Right call. Briefly: You may remember this name. His tweet reporting that the NFL was investigating the Patriots for possibly using underinflated footballs exposed this whole thing. From the beginning, he has believed Brady has had some involvement, though he thinks now the sides need to settle the case, leaving Brady with a one- or two-game suspension. Briefly: Even after the full transcript from Brady’s appeal hearing became public, Hubbuch believes Brady was involved in the deflation of footballs and deserving of punishment. The narrowest divide came on this question: Do you think deflated footballs impact the outcome of games?